See a list of corticosteroids . 949 р. Average price online * 949 р. For a long time, the manufacturer stated that the main active ingredient of the cream is pyrithione zinc, and the cream does not contain hormonal preparations. However, recent studies by the World Health Organization have revealed clobetasol, an aggressive corticosteroid preparation, with a large number of side effects as part of Skin-Cap preparations. "..The Belgian Pharmaceutical Inspectorate has withdrawn all batches of Skin-Cap because it contains a prescription level of corticosteroids, clobetasol, which is not listed on the label .."
Pyrithione zinc has a high inhibitory capacity against pathogens that cause fungal and bacterial infections, localized on the skin. In addition, the cream is able to inhibit the growth of diseased epithelium cells, which prevents the spread of infection into the deeper layers of the epidermis. “Skin cap” inhibits the growth of pathogenically altered flora and quickly reduces inflammation, while eliminating all the symptoms of the disease: irritation, dryness, peeling and itching. soft sachets with packaging 5 g (placed in individual cardboard packaging). All forms of the drug contain 0.2 g of perition zinc. 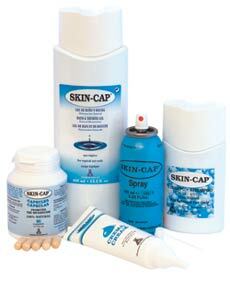 "Skin cap" is used topically to eliminate severe symptoms of the disease. 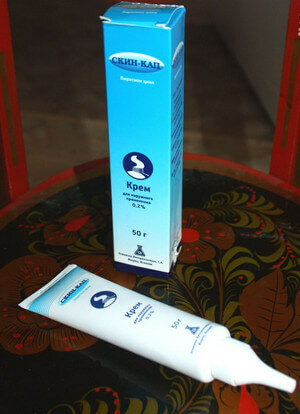 Before applying, the tube should be shaken vigorously to evenly distribute the drug. The treatment regimen depends on the diagnosis of the patient, confirmed by diagnostic measures. With atopic form of dermatitis: 2 times a day for 21-28 days. 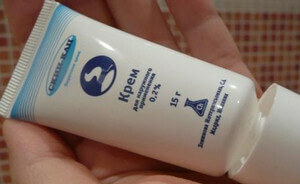 For psoriasis: 2 times a day for 30-45 days. The cream should be evenly distributed on the affected surface and rub until completely absorbed. If the symptoms of the disease persist, you can repeat the course of treatment with the drug (not earlier than in a month and a half). This should be done only after a visual examination by a dermatologist and the necessary examination. The purpose of the drug for children does not require the correction of the dosing regimen (except for certain cases of poor tolerance). The manufacturer stated that there are no contraindications to the use of Skin-cap (except for cases of hypersensitivity to the substances contained in the preparation). In fact, contraindications to the use of clobetasol: acne, skin neoplasms, perioral dermatitis, as well as bacterial, viral and fungal infections of the skin. Clobetasol is contraindicated for the treatment of dermatosis in pregnant women, nursing mothers, as well as children under 6 years of age. 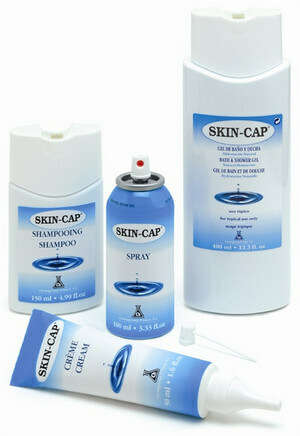 It is necessary to take into account the fact that the “Skin-cap” is prohibited for use and sale in some countries - in Russia there is no such restriction yet. slight burning sensation that passes quickly. 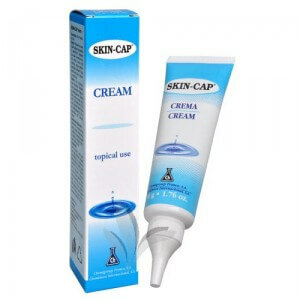 The appearance of irritation in the areas of application of the cream does not require the urgent cancellation of therapy "Skin-cap". According to the latest data, the list of side effects is not complete (given the presence of clobetasol in the composition). Cases of Cushing's syndrome in children and adult patients with long-term use of drugs containing clobetasol are described. Pregnant women can receive Skin-cap only after all diagnostic measures have been taken, which allow to establish an accurate diagnosis, and only if the intended benefit to the mother exceeds the possible risks to the fetus. 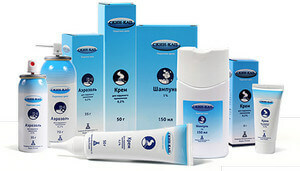 For nursing women, treatment with Skin Kapa is contraindicated, as clobetasol passes into breast milk and is secreted with it. For an infant, clobetasol is dangerous for possible developmental lags, as well as for abnormalities in the functioning of internal organs. In cases where the use of cream during lactation is a necessary measure, you should consult with your doctor about the timing of the termination of breastfeeding. Store at temperatures up to 30 degrees. The shelf life of the drug is 5 years. Americans knowingly banned IT in their homeland.